for internal and external clients. -Provide financial document requests, process payments, submit weekly internal and external invoices. -Manage daytime and evening events. -Opened and managed catering at our newly acquired account. -Managed two of the three Bank of America corporate conference centers in the loop for all meetings and events. Acquired our second location in September 2011. -Generated proposals, confirmed payment details, and submitted daily invoices to our bookkeeper. signage, and any additional needs the client may have had. -Produced and executed marketing strategies while gaging customer satisfaction. - Coordinated the entire operation of the restaurant during scheduled shifts. registers at the end of each night. preparing menu items and desserts, and coordinating deliveries. 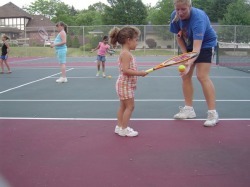 -Entrepreneur; first tennis instructor at all park districts. and Twitter (www.twitter.com/mdaciolas) for Michelle D Tennis. Yahoo, and AOL when searching for tennis lessons in surrounding areas. -Create objectives, days, times, prices, and publicity for the programs. -Prepare an agenda for lessons and focus on individual needs of the students. - Wrote press releases and articles for the school and local newspapers. - Developed ad campaigns and promoted events on campus. - Assessed special event and campaign successes. events, and community outreach programs. responses, photos, demographic, and psychographic information.